Greet your guest list with warm holiday wishes and cool pre-event promotions when you send out individual Holiday Snowflake Invitations in advance. Frosty the Snowman just can’t compete with these fine turquoise Invitations, which feature a beautiful snowflake design along with space to include your own personalized image. 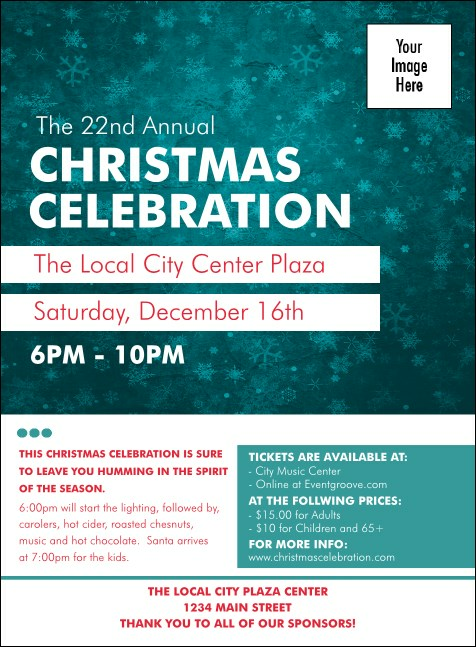 Celebrate the wonder of winter with Holiday Snowflake Invitations from TicketPrinting.com.